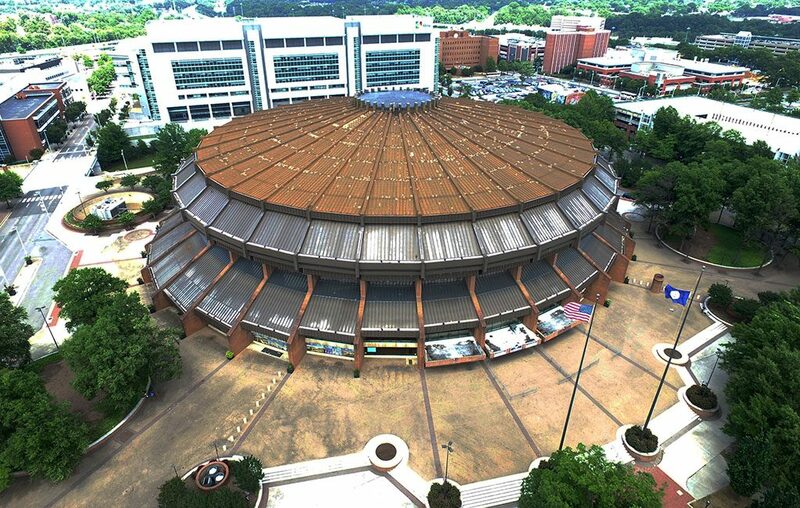 As Richmond City Council gets ready to review the $1.4 billion, mayor-endorsed proposal to redevelop the Coliseum and surrounding area, the city planning commission likewise is making preparations for the project that has yet to be formally presented or approved. 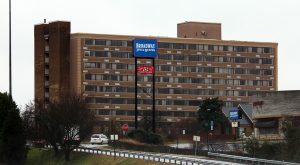 The planning commission on Monday is slated to declare its intent to amend the city’s zoning ordinance to accommodate the Navy Hill redevelopment project proposed by NH District Corp. and endorsed last month by Mayor Levar Stoney. 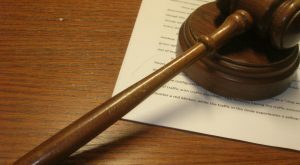 The action aims to satisfy a state law requiring that some procedural step to initiate the process be taken before an amendment to the zoning ordinance can be introduced. It also would allow planning staff to prepare the amendment so it could be introduced along with other ordinances that would make the project possible. The amendment, which would allow uses planned for the project that are not allowed by current zoning, then would be subject to review by the planning commission and council, according to a staff report included in the commission’s regular agenda Monday. The commission is set to vote on the item when it meets today at 1:30 p.m.
At the same time, council plans to vote at its meeting Monday night to create an advisory commission to review and hold public hearings on the proposal, which Stoney would present to council at a later date. A spokesman for Stoney said Friday that the project remains in negotiations and would not be presented Monday, council’s last meeting of the year. 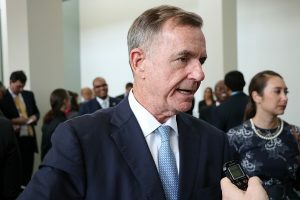 Jim Nolan, Stoney’s press secretary, would not specify what remains under negotiation for the project, which Stoney endorsed in November and said had reached an agreement in principle between the city and NH District Corp., the group pushing the project led by Dominion Energy CEO Tom Farrell. Aspects of the project that had yet to be finalized at the time of that announcement include plans to relocate the social services department, which is currently housed within the 10-block project area bounded by North Fifth, East Leigh, North 10th and East Marshall streets. 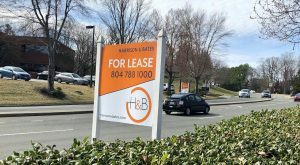 Other items that could remain under discussion include locations for the project’s planned income-based housing and agreements over which properties would be purchased or leased for the development. 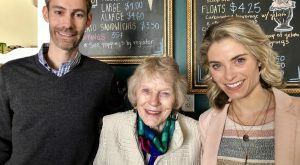 At the announcement in November, Farrell told BizSense that the new arena and old Blues Armory building would remain city-owned properties, while the rest of the properties likewise would be city-owned but leased out through long-term leases. As announced thus far, the project calls for replacing the Coliseum with a 17,500-seat arena and redeveloping the 10-block area with 2,800 new housing units, including 2,520 market-rate apartments and 680 income-based units, and a 23-story, 527-room Hyatt Regency hotel to serve the Greater Richmond Convention Center. Plans also call for preserving and redeveloping the Blues Armory with a 20,000-square-foot food court plus entertainment and event spaces, replacing the GRTC transfer center along Ninth Street, and re-use of sites filled with outdated city buildings. The TIF, which would be managed by Union Bank, is projected to produce more than $1 billion in revenue from the project and other new development in the district area. That new revenue would be used to pay back $300 million in non-recourse revenue bonds to be floated by the city and underwritten by JPMorgan Chase and Citigroup. The project’s remaining $1.1 billion cost would be fronted by NH District Corp.’s investors, who the group has not identified. About $600 million in projected revenues that the project would generate, such as sales tax revenue, also would go toward paying off the bonds over a 30-year period. Any surplus revenues would be distributed 50-50 to the city general fund and to paying off the bonds early, according to presentations made in recent weeks. 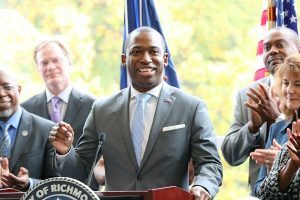 Stoney since has said that half of any surplus revenues – projected to total as much as $1.2 billion over 30 years – would be committed to supporting Richmond Public Schools, while 15 percent would go toward housing and homeless services and 1 percent would go toward art and cultural funding. The remainder would support the city through the general fund. While that announcement had the support of some on city council, including President Chris Hilbert, and members Cynthia Newbille and Ellen Robertson, other council members have held off on voicing their opinion of the project, noting the proposal has yet to be presented to council. At a meeting of council’s organizational development standing committee this month, council members voted 5-4 to send to council a proposal by member Kim Gray to create a commission to review and advise them on the proposal when it is presented. Hilbert voted with Gray, Reva Trammel, Parker Agelasto and Kristen Larson in support of the commission, which will be voted on at council’s meeting tonight. Meanwhile, the planning commission’s action would authorize staff to prepare the zoning ordinance amendment, which would allow some uses proposed for the development while omitting other uses considered inappropriate in light of the project. The changes also would allow for larger signs and more variety in signage than elsewhere in the city. The amendment also would specify design standards in the project area consistent with the city’s Downtown Master Plan and Pulse Corridor Plan, which encourage urban development that is mixed-use, mixed-income and pedestrian-friendly. The city has been looking to implement the Pulse Corridor Plan’s recommendations in other areas, including Scott’s Addition and Monroe Ward, the latter of which would be partly included in the proposed Navy Hill TIF district. The plan was adopted in conjunction with the redesign of Broad Street to accommodate the GRTC Pulse, the bus rapid transit line that started running this year. 4 Comments on "City Council, planning commission prep ahead of Coliseum redevelopment pitch"
Mayor is not introducing the proposal…..wonder what is next and why the change of heart?